We present rich Cocoa Liquor which is used for various purposes. Cocoa Liquor is also known as Cocoa Liquor and cocoa mass. 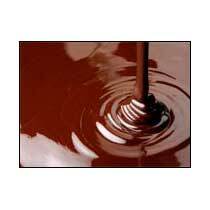 Cocoa Liquor offered by us is a smooth liquid form of chocolate. This Cocoa Liquor contains both cocoa solids and cocoa butter in roughly equal proportions. Cocoa Liquor is a superb, all-purpose mass extracted from the finest of cocoa beans fermented and roasted to aptness. Generally, with a fat content of 51% to 54%, the Cocoa Liquor is well- suited in making a chocolate product with rich and true chocolate flavor. A premium darkened cocoa mass has a fat content of 51% to 54%. The alkalized cocoa mass / liquor may be used whenever a darker and a more rounded chocolate flavor are required. © Copyright 2012. Lotus Chocolate Company Ltd.